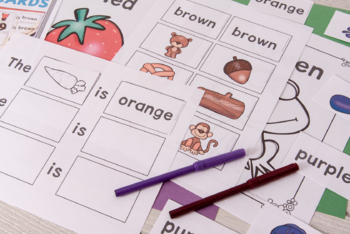 Did you know that not being able to learn colors is an early flag for a learning disability? I have a lot of little ones coming to school and not being able to name more than one color. 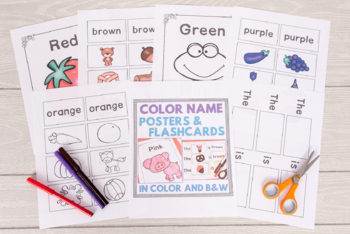 Do you know how to teach the colors? I learned over time that you teach the colors one by one for the students who don’t understand what a color is. For example, you teach red on its own. You wouldn’t teach a bunch of colors at once. 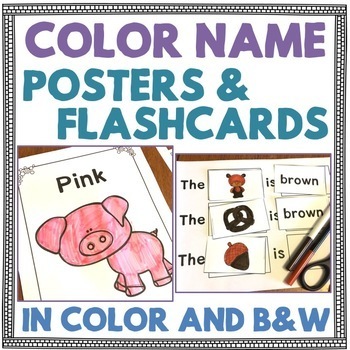 -11 Color Posters (White, Black, Brown, Red, Yellow, Orange, Green, Blue, Purple, Pink, Gray) in color and then in black and white (22 pages total).